Operatives of the Economic and Financial Crimes Commission (EFCC) on Thursday arrested a former governor of Imo State, Mr Ihedi Ohakim. The former governor was picked by the anti-graft agency after he failed to honour an invitation on Wednesday to to clarify and answer questions on an ongoing investigation into allegations of corruption and embezzlement while he was in office. 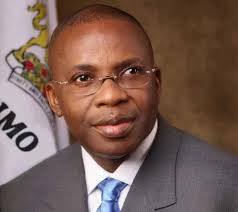 Mr Ohakim served as governor of the south eastern state between 2007 and 2011.